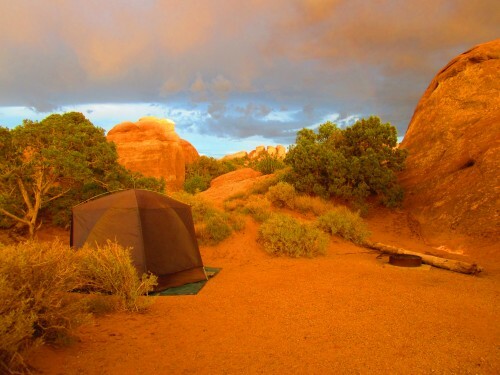 We arrived at Arches National Park and our tent is set up and this is our campsite. Those gray clouds are rainclouds. There was a huge thunderstorm with lightening and really strong wind and really hard rain. Our tent almost blew away. This is a beautiful sunset. We could see it from our campsite. 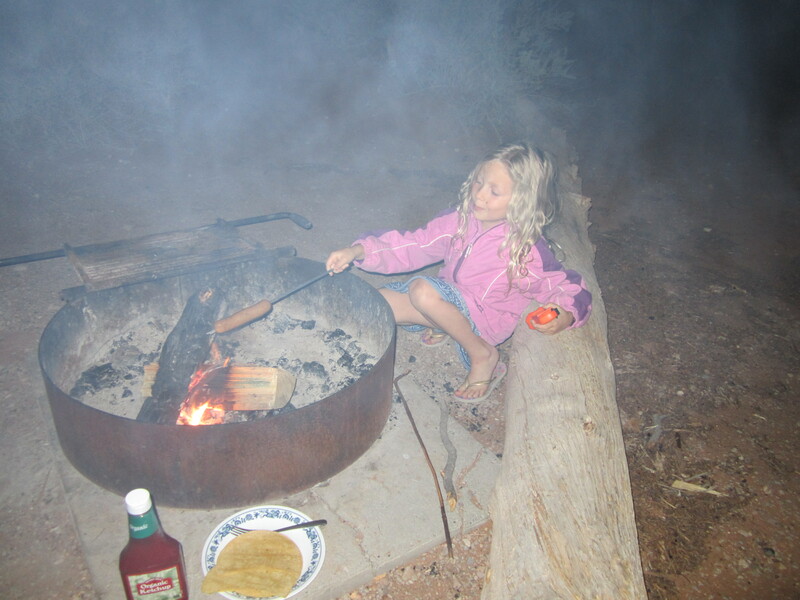 This is me roasting a hot dog over our campfire. In my rain jacket and flip flops. The thunderstorm was 45 minutes. It was over by this time, that’s why we have a campfire. 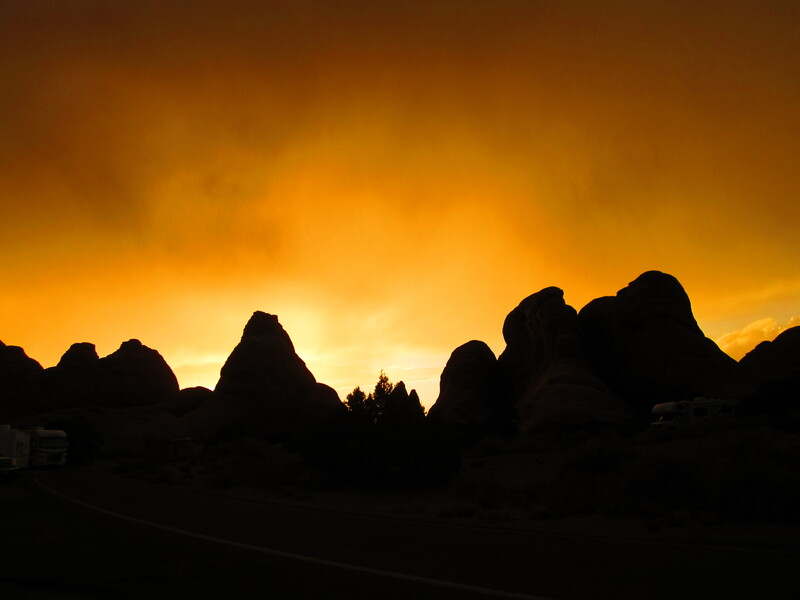 Stay tuned for our next post about our second day at Arches National Park. Well, it’s pretty important to the taste of marshmallows, which we roasted next (vegan ones of course). And we could have done without the smoke in our eyes. The disadvantage of being surrounded by large rocks is that the wind blows in all directions at once. I love the sunset picture. so beautiful! That site looks unbelievably beautiful. You are becoming such an accomplished camper (and cook! glad you got your marshmallows).